June 6th, 2017 in Münster, Germany. Organized as a preconference workshop of the EUNIS 2017 congress, the 1st ESC dissemination conference was attended by more than 80 participants representing leaders in higher education who are interested in the digital future of student ID cards, and is particularly useful for Heads of Student and/or IT services. 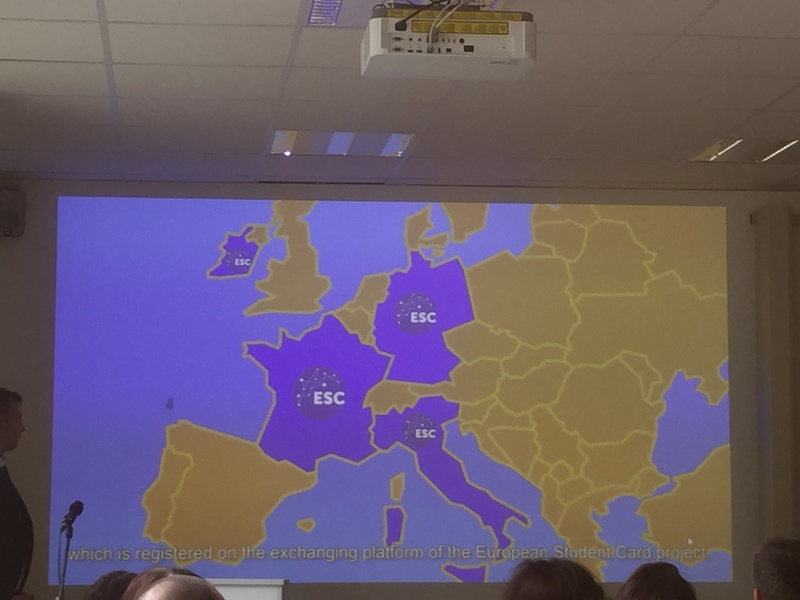 The conference presented the current state of development of the ESC project, the necessary online platform, and the options for practical implementation that are being developed in the framework of the EU project “European Student Card” (ESC). Such a card holds the potential of paperless international student mobility by providing access to services such as library use, student restaurants, copy machines, or local transportation – all on one card and with cross-border functionality! Find all pictures of the event and the ESC presentations videos in the Media gallery!